Andrew Flower 01/08 (as alvarezii). 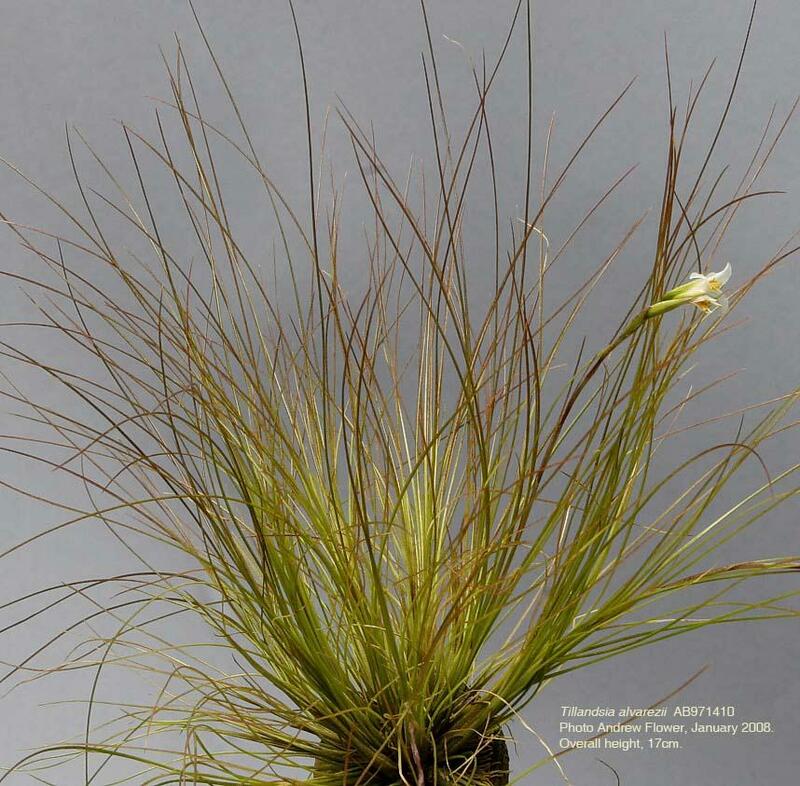 Notes from Andrew : "Tillandsia alvarezii (type) seed from Renate Ehlers in 1997, currently flowering. Rather nice perfume. In a sunny position, the leaf blades turn a deep scarlet. 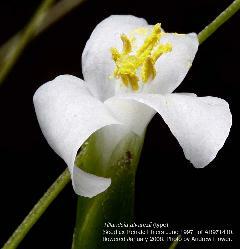 According to Rauh (who named it T. alvareziae) it is a smaller relative of T. remota. 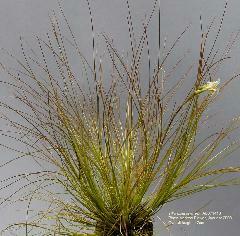 Interestingly, you may care to compare the inflorescences on my two photos.... In the differential diagnosis, according to Rauh, in T. alvareziae "the floral bracts are not keeled", "petals are erect, sticking out not reflexed, and the stamens for that reason are just visible". 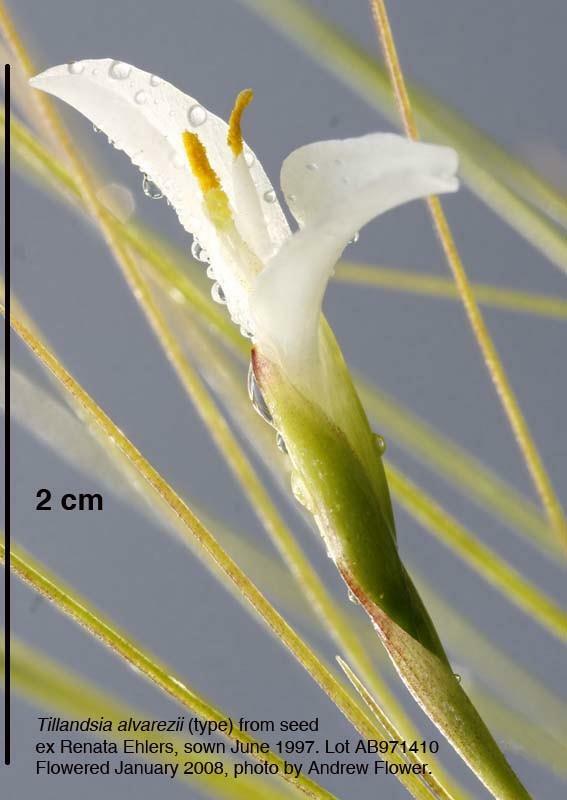 That is why I sent the two photos - you will see the petals stand out early in the development of the inflorescence, then recurve exposing the stigma and stamens. My call: its a form of T. remota.